The Cordillera region continues to build its reputation as a breeding ground for professional mixed martial arts fighters with the addition of five local talents to the under-card of ONE Championship: Global Rivals. This is an event put together by ONE Championship, the biggest and most influential mixed martial arts promotion company in Asia. It will be held on April 15, 2016 at the Mall of Asia Arena in Pasay City. Of the five Cordillerans in the card, four are fighters from Team Lakay (Danny Kingad, April Osenio, Honorio Banario, Geje Eustaquio) and one is from Pinoy Top Team (Eric Kelly). Geje Eustaquio, who is coming off a knockout win over Saiful Merican last January, will face Gianni Suba of Malaysia in the flyweight division. This is a must-win fight for Eustaquio if he plans on working his way back to the ONE Championship flyweight belt. It can be recalled that Eustaquio challenged Adriano Moraes for the title back in 2014 but he got submitted in the second round. Interestingly enough, Moraes is no longer the champion as he was decisioned by Kairat Akhmetov in November of 2015. Eustaquio's next opponent Subba is the less experienced fighter between the two but he has only been defeated once and he is currently riding a four-fight winning streak. Eric Kelly will share the cage with Timofey Nastyukhin of Russia in the featherweight division. The two fighters share something in common. They are both coming off nasty losses in fights that would've set them up for title contention in the event that they won. Kelly lost by submission to Ev Ting. Nastyukhin lost to Herbert Burns, also by submission. Whoever wins in their upcoming fight will put himself back in the choices for title contention. The belt is currently held by Marat Gafurov of Russia. Honorio Banario, the former ONE Championship featherweight champion, is in a do-or-die situation. He has lost five bouts in a row. Two by knockout and two by submission. At 26 years old, he is still young and has a lot of ground ahead of him but six losses in a row would be a bitter pill to swallow. If it's any consolation, he'll be facing fellow Filipino Vaughn Donayre, another fighter who's been on a downward spiral lately. Donayre has lost four of his last five fights. April Osenio, a native of Kapangan, Benguet will be taking on Natalie Gonzales Hills in the atomweight division for her second MMA fight. Osenio made her MMA debut last year and lost to Kirstie Gannaway via submission. Her opponent, Hills, is more experienced with five professional bouts under her belt (2 wins, 3 losses). Danny Kingad, a neophyte in the game with just one professional fight, will face off with Muhamad Haidar of Malaysia. Haidar will be making his MMA debut. 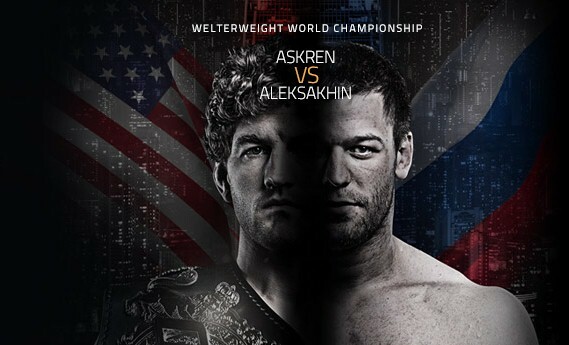 ONE Championship: Global Rivals will be headlined by a battle between Ben Askren and Nikolay Aleksakhin for the ONE Championship welterweight belt. Askren, the champion, will be defending his belt for the second time. For information on how to watch the fight, go to http://www.onefc.com/livestream.